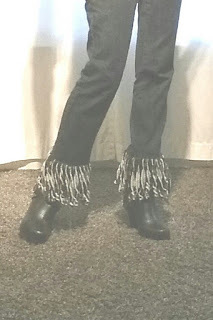 Heartfelt Balance Handmade Life: Style to Copy: Fringed Jeans. A DIY for You! 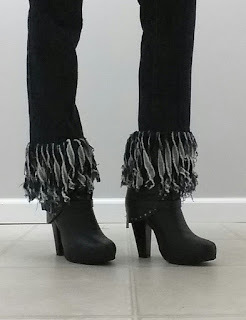 Style to Copy: Fringed Jeans. A DIY for You! 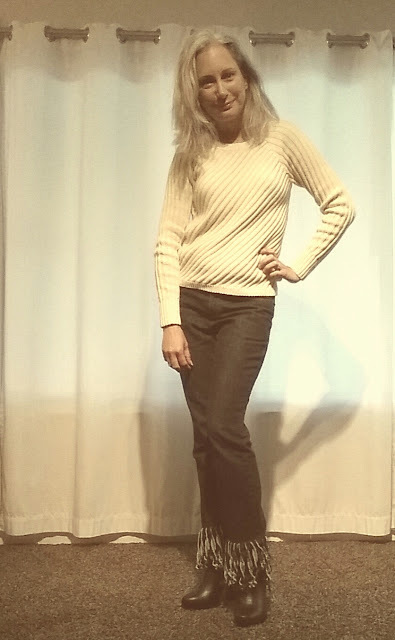 While I was hopping around the other day, I happened upon a cute outfit put together by Jessica at JEANS & a teacup. It featured a pair of fringed jeans and a way too cute olive jacket. You can see her outfit at her post: Fringe Hem Denim and Olive Jackets. The jeans reminded me of the shorts I wore to my wedding luau party. Yes, I wore dyed green fringed shorts to my wedding. 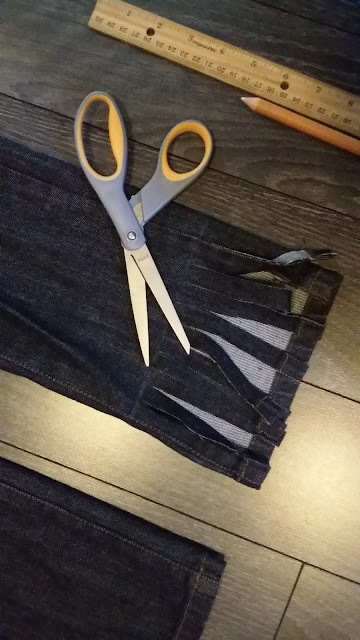 It was my attempt to make my shorts look like a grass skirt. I loved the way they turned out. 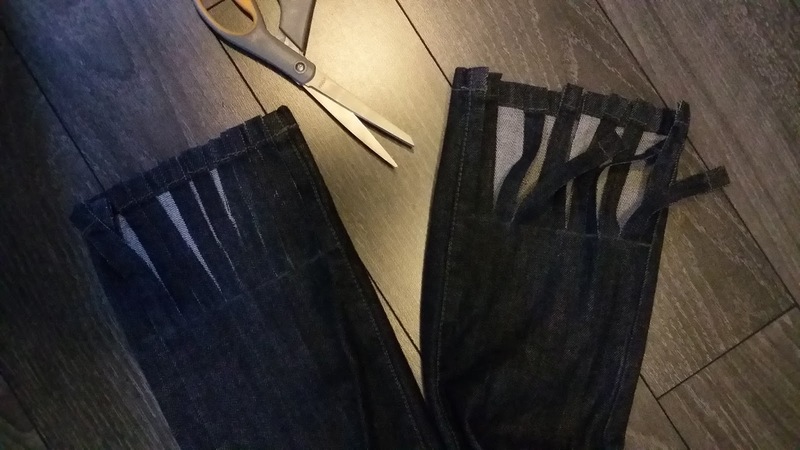 As I was browsing through her comments, I noticed that some people were saying that the jeans were "too expensive" or "not in my size" or whatever other reason they had for not being able to have fringed jeans. 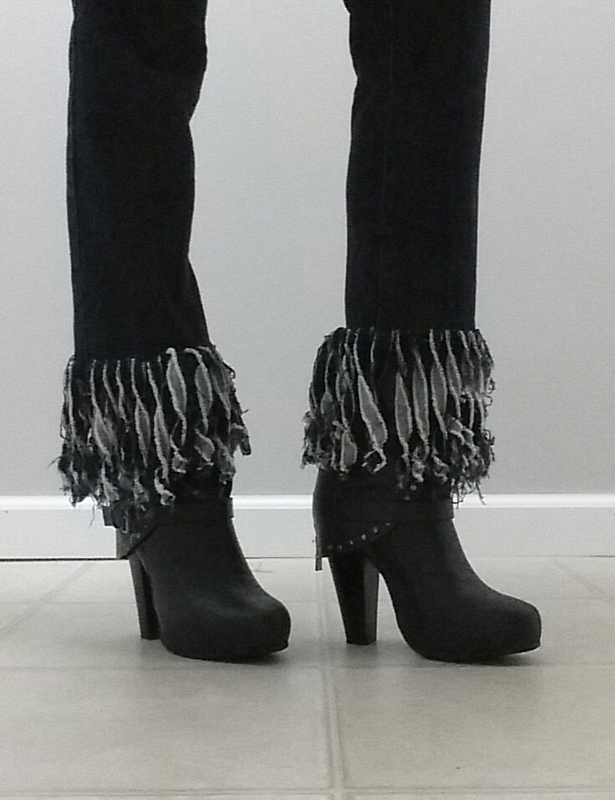 Well, I'm here to tell you that you CAN have fringed jeans and it's pretty darn easy. 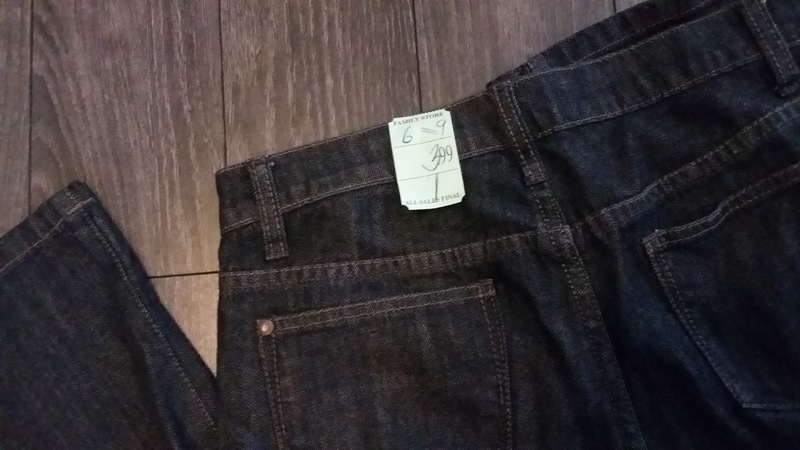 I found a pair of jeans at the thrift store for $2. What a steal! Our thrift store has half off certain color tags each week and I found a pair that was half off $3.99. Score! I love that this pair is a dark denim. 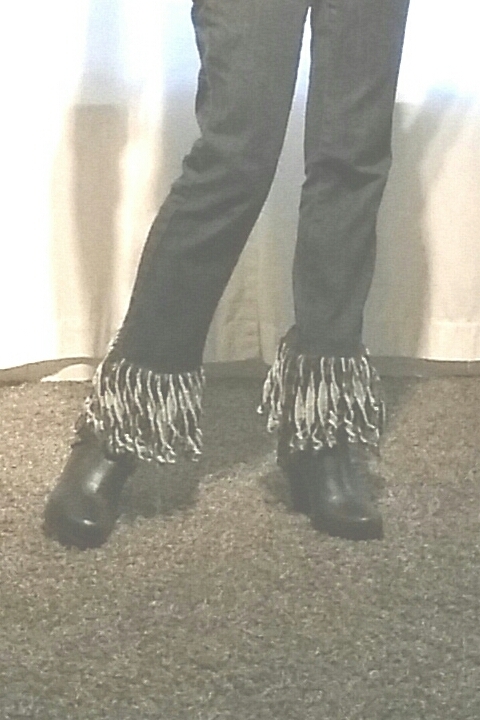 The lighter colored threads that are woven into the denim make a great contrast in the fringe. I've got to tell you, I'm not usually all about measuring and marking and being all methodical. I did it for this post in case you're that type of person. I figured I wanted my fringe about 4 inches long. 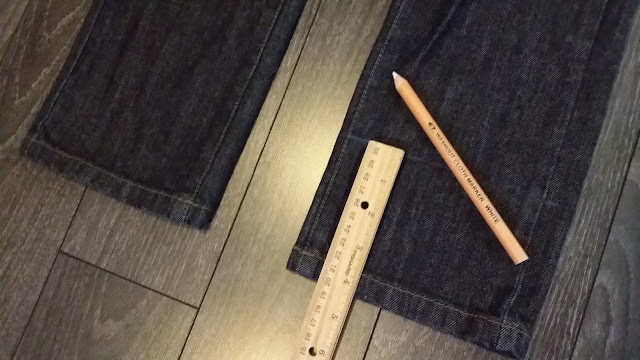 I measured with a ruler up to 4 inches and made a little mark on each side. Unfortunately, my fabric marker was not cooperating as well as I would have hoped. Then I drew a line from each side to make the mark that I would cut up to. Then I put a mark every 1/2" to show where to cut up to that line. Then I cut. Easy peasy. 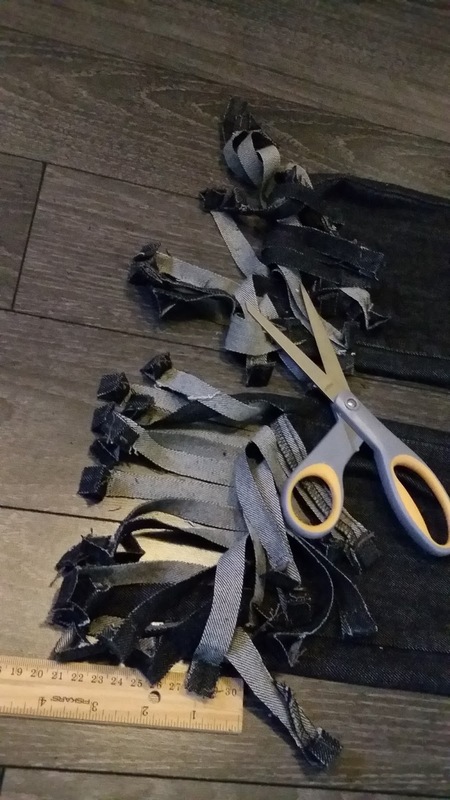 When the strips were cut, I pulled out the stitches in the hem of each strip. 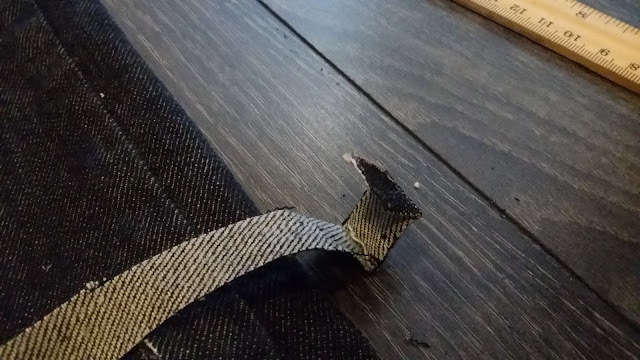 It was pretty easy except for the strips that were part of the original seam. 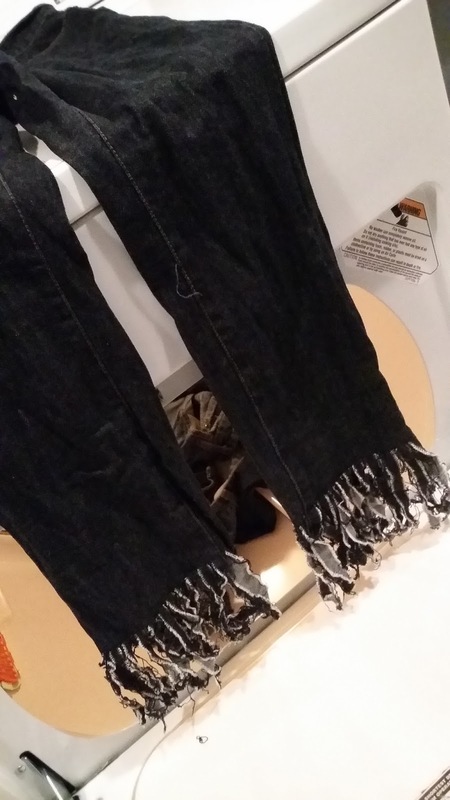 Next, wash the jeans in the washer and throw them into the dryer to dry. 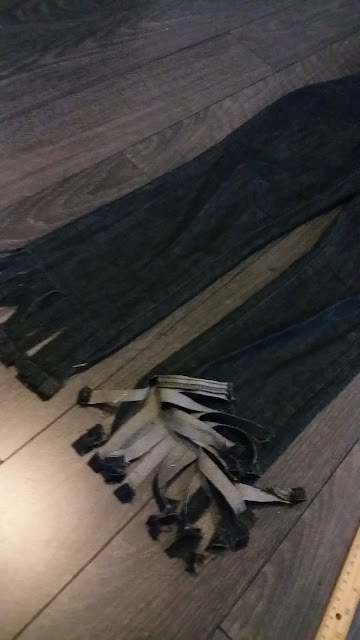 I thought maybe I'd need to wash and dry them more than once to get the fringe that I'd like, but they were good after just one wash and dry. About to go in the dryer and get fringy-er!! 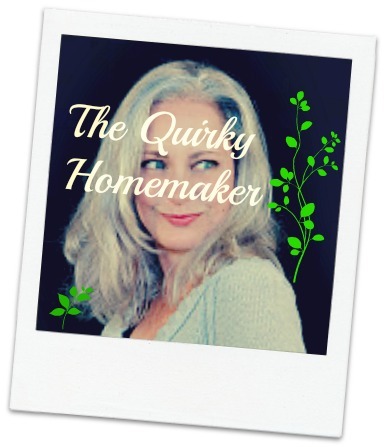 So, this is what I do when I'm not buying dry ice or microwaving soccer socks! Ha! Trying to figure out how to get a picture of my newly created fringe jeans. As you can see, the photography didn't work out really well for me. 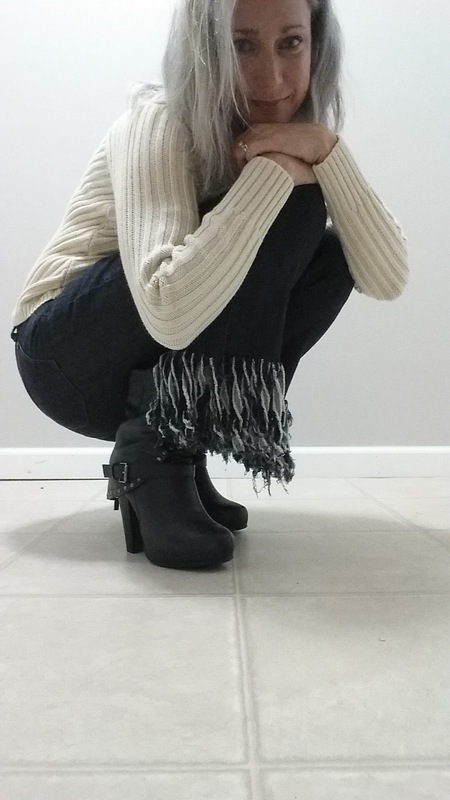 But, I think you can get the idea of the fringe on the jeans. 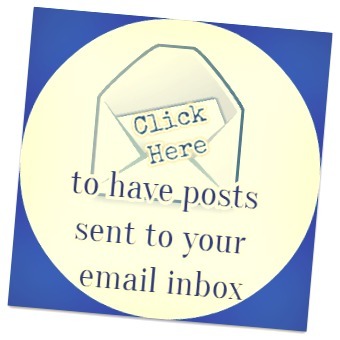 Great post and explanations. I have to try this. Thanks, Nicole! Have a great day. :) Let me know if you try it! What a novel idea! I love this. I absolutely love this! Thanks for the great tutorial! Thank you Ana! You have a great weekend as well!